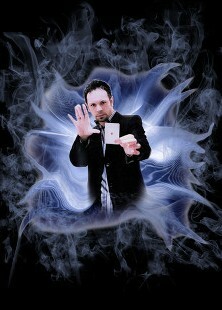 Glenn Fielding has taken Magic, Closeup Illusions and Mind Reading to whole new level! He has taken traditional magic and street magic and created his own unique, elegant style which is guaranteed to captivate and amaze. He has many years of professional experience performing for all types of events so a professional service is assured from start to finish. Don't just believe what you see on TV, experience it for yourself, first hand! Glenn is available for Weddings, Corporate Events and Private Parties.